1.This apple case with shockproof rugged protective design which protect your watch from bumps, dents and scratches. 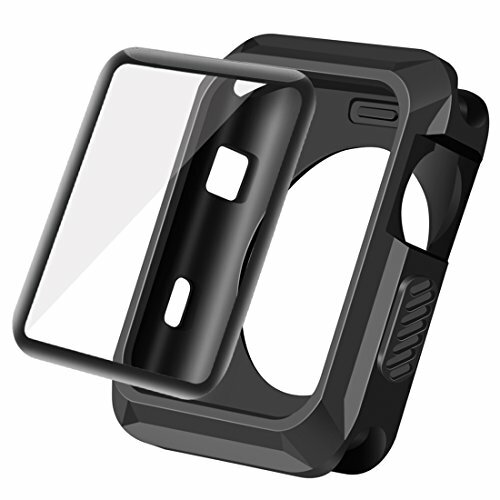 2.Made of TPU material, the case is weight light, it can provide long-lasting durability and protection for your watch, but don't burden your apple watch. 3.Due to excellent workmanship, the case wraps your apple watch tightly. It will not fall off. 4.With precise cutouts, the case allows you to quick and accurate access to screen, button. 5.We provide you with 12-month service support - replacement or refund for defective item, also no hassle to return the defective one. Your satisfaction is our forever pursue! Please contact us before leave bad review or feedback! Thank you so much!! If you have any questions about this product by wolait, contact us by completing and submitting the form below. If you are looking for a specif part number, please include it with your message.